On May 29th, 1919 a joint Royal Astronomical Society and Royal Society expedition led by Arthur Eddington to Principe observed a total solar eclipse, confirming the deflexion of light predicted by the General Theory of Relativity. 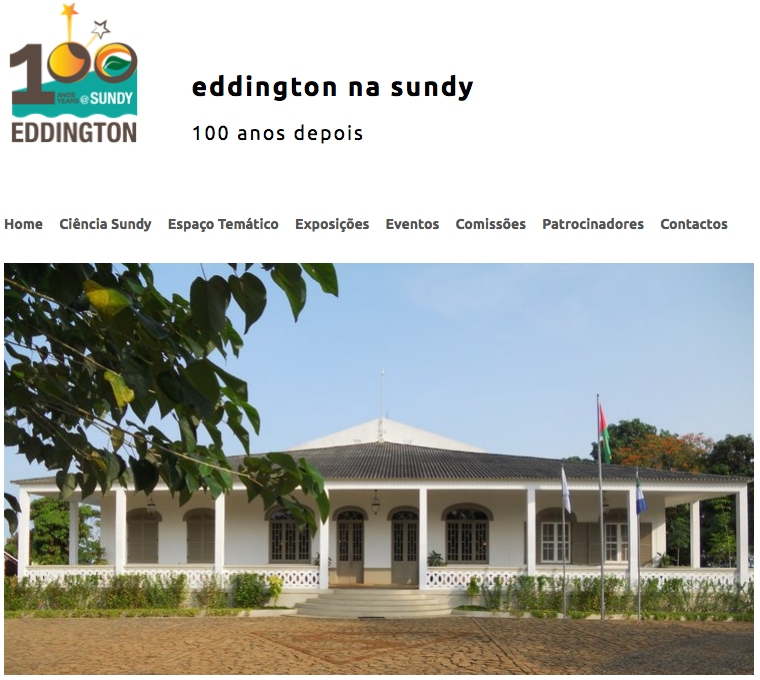 Eddington at Sundy: 100 years later (E@S) results from a joint initiative of several institutions, including our group, to celebrate the centenary of these observations. Contact us If you are interested in pursuing graduate studies/research in our group. A list of scientific meetings, mostly in gravitational physics, in 2016.